Since we live in an age where almost everything is negotiable via the World Wide Web, people have more opportunities to work from home. Today one of the most in-demand jobs on the Internet is that of writer. If you are an aspiring writer but don’t have an avenue to express your artistic and technical flair, look for writing-related job posts. It’s never too late to turn your passion into a paying job. You must be committed. That might sound easy but it’s not. Writers must have an attitude of being committed to their jobs. This means you must adjust your time, perhaps waking up a little early or staying up a bit late to finish your writing jobs. This doesn’t, however, mean you will now lose time for your family or your own personal life; rather, it just means you must develop a willingness to finish your tasks and adjust your time table. Improve your craft. As a writer, one can tend to be repetitive and monogamous. Avoid this at all costs or else your readers and clients will grow bored with what you write. As a writer it is your responsibility to perform well in your field. Try to learn new things and apply it in your writing. Some writers even enroll in short courses to better their writing and strengthen their craft. Believe in yourself. This is very important. A writer must be assured she can do all things with time and perseverance. Maybe you’re not the best writer now, but with hard work you can improve. All you have to do is to continue believing you are capable. Manage your time wisely. As a writer most of your time will be spent in front of the computer. This should not be an excuse to be ineffective and absent in other things, and you can still do other things with proper time management. When possible, write ahead with your assignments so you won’t have to deal with them in bulk. Edit your work. Re-read your works and edit it as many times as possible until it is flawless. You can seek out someone to read your worst and let him or her act as a judge to pinpoint adjustments and improvements you can make. Sell your talent. It’s now time to turn your writing into cash. 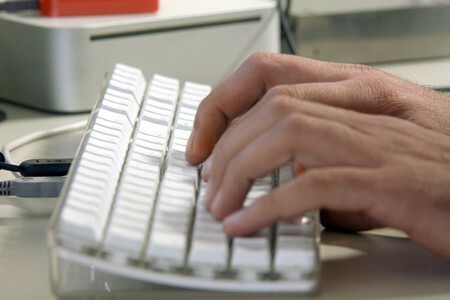 Most companies look for very competent and reliable writers who can effectively deliver on time. An employer will not turn down a promising and very good writer.